The Black Forest or Schwarzwald as it is known in German, is located in South Western Germany in an area known as Baden Würtenburg. It’s a great weekend destination from Zurich with stunning landscapes and fabulous natural beauty. Easily accessible in about three to four hours from Zurich, it makes the perfect weekend break. However, there’s plenty to see and do if you decide to go for longer! The Schwarzwald is world renowned for Cuckoo clocks, Black Forest Cherry Cakes and those very typical black hats with red balls on top – the Bollenhüte. 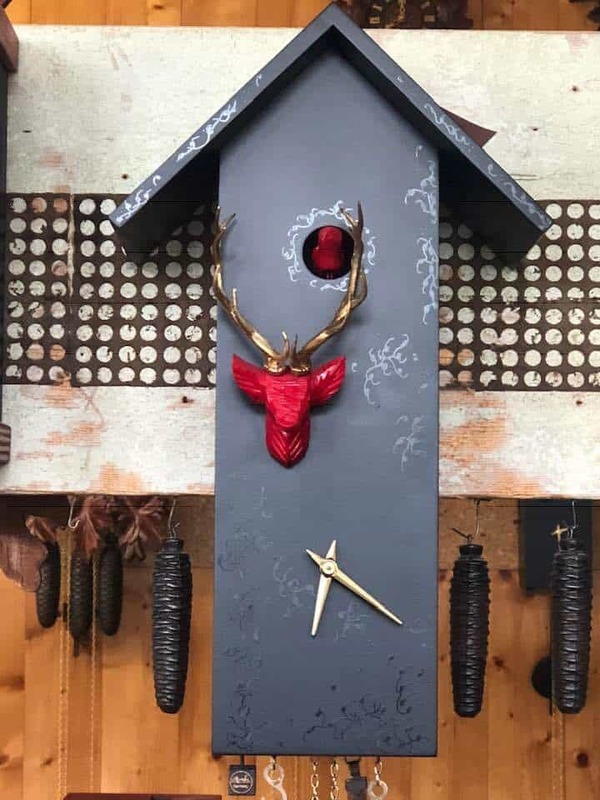 We began by taking a look behind the scenes at a cuckoo clock workshop. 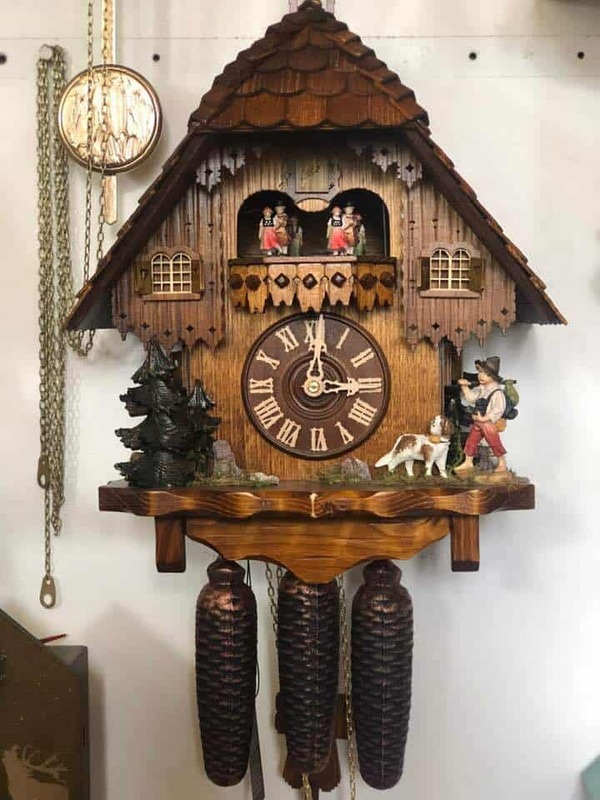 The Black Forest is considered the birthplace of the cuckoo clock and there are only ten cuckoo clock manufacturers which manufacture the genuine article. To be 100% authentic the clocks need to be manufactured in the region. 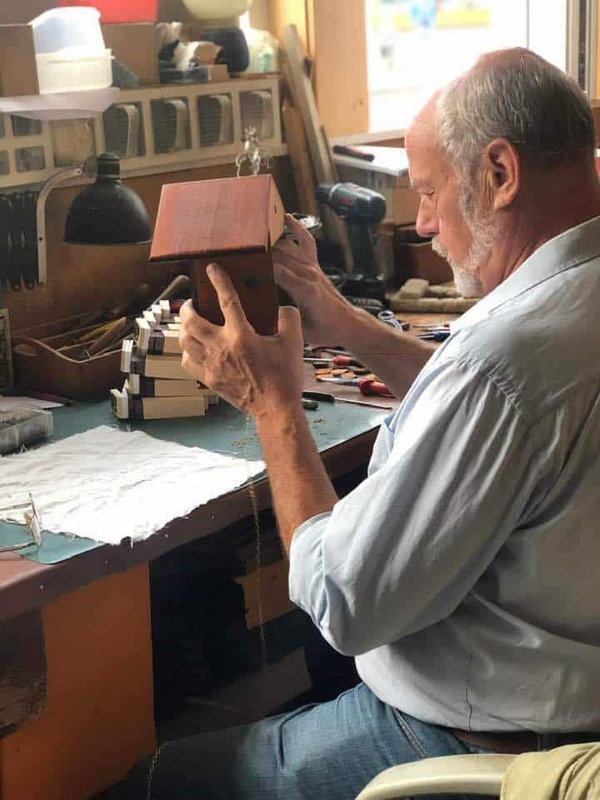 We visited a local family firm Rombach und Haas in Schonach im Schwarzwald where the family has been making cuckoo clocks since 1894. 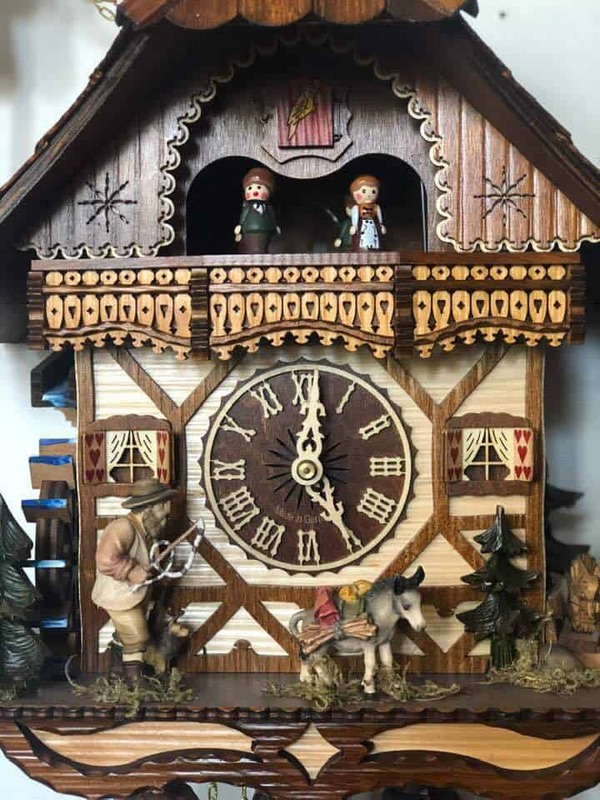 Ingolf and Conny Haas, together with their son Enya and daughter Selina are one of the major Cuckoo Clock businesses in the region. The firm is now in the fourth generation and they showed us their extensive range of Cuckoo Clocks. 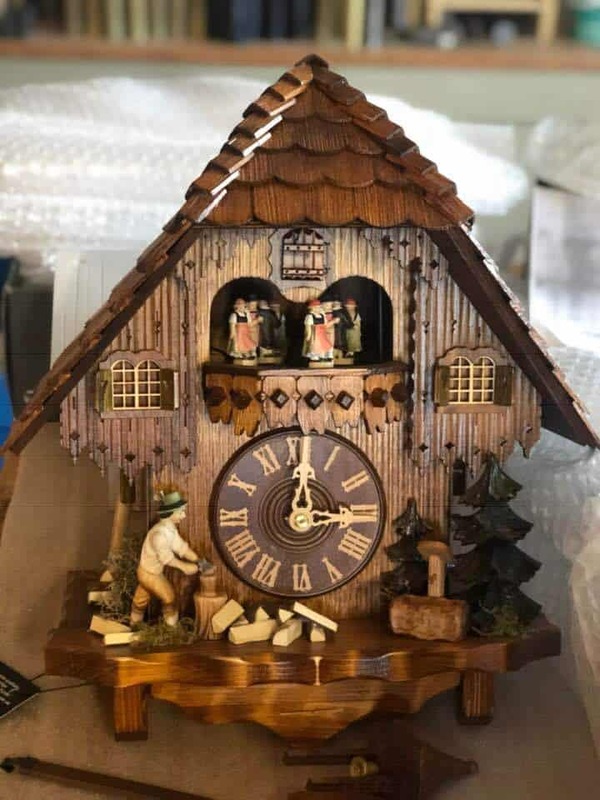 Their assortment includes chalet-style cuckoo clocks, cuckoo clocks with wooden carvings, “Schild” cuckoo clocks with a painted front as well as their new, modern range of cuckoo clocks. In fact it seems as if they have a cuckoo clock for any and every occasion. 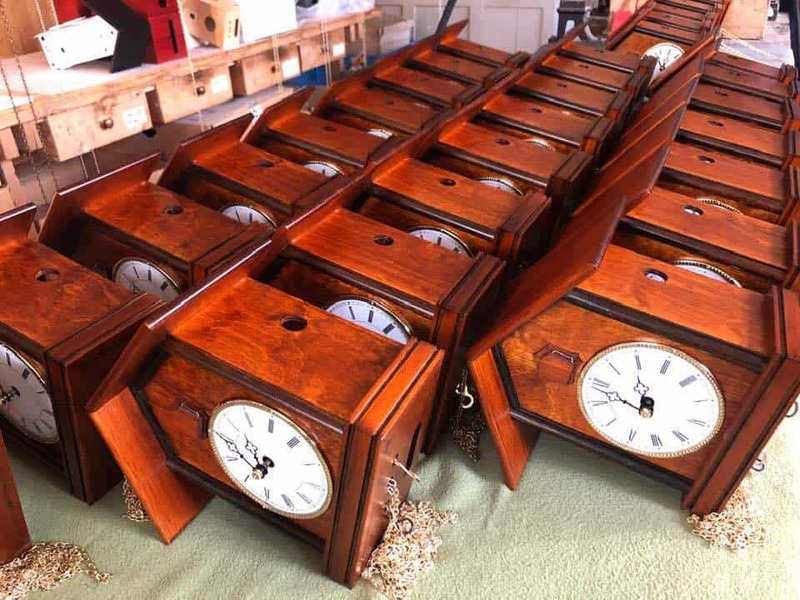 They have a small team of nine, including some highly skilled craftsmen who make all the clocks by hand. 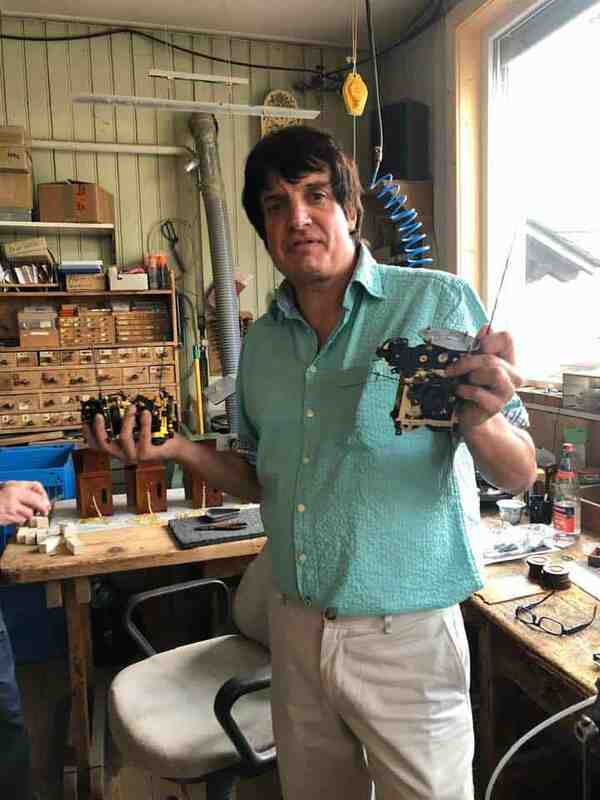 We had a behind the scenes tour of the atelier and saw the cuckoo clocks being made. 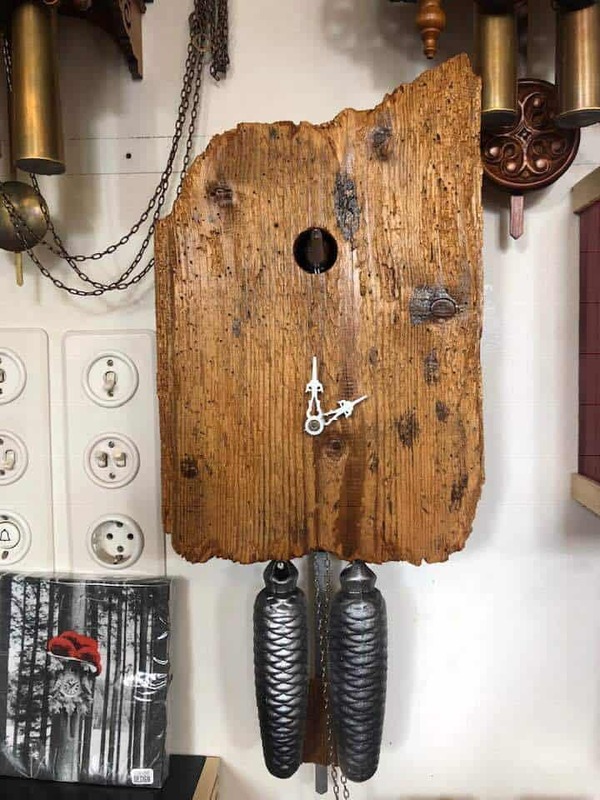 There is just one company which manufactures the clock mechanisms for the clocks, and another company which makes the blowing mechanism creating the recognizable “cuckoo” sound. Both companies are based in nearby Gutach in the Black Forest. 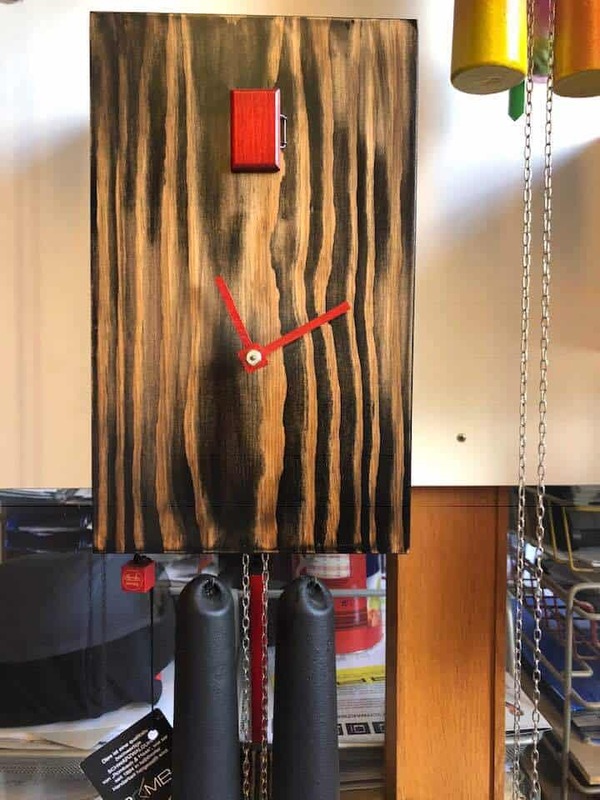 All Rombach and Haas cuckoo clocks have traditional manual mechanisms where the weights operate a gear train in the clocks interior and they require winding either once a day or once a week. 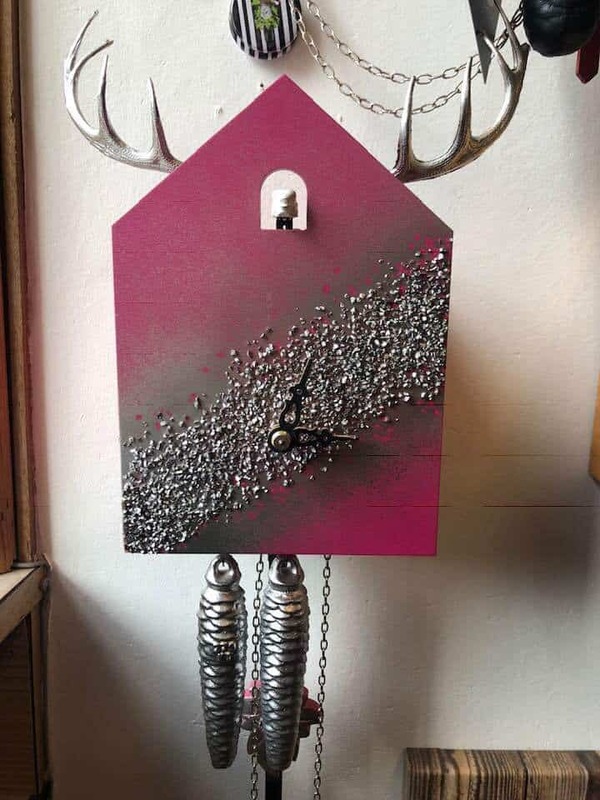 These days you can find battery operated cuckoo clocks, but Ingolf believes a true cuckoo clock should have a mechanical movement. Ingolf’s wife Conny is the artist responsible for the hand painted designs which adorn the clocks. It really is a family business as their son Enya, a talented musician, also works in the family firm. Daughter Selina has her own art firm, but she also gets involved in painting and design. 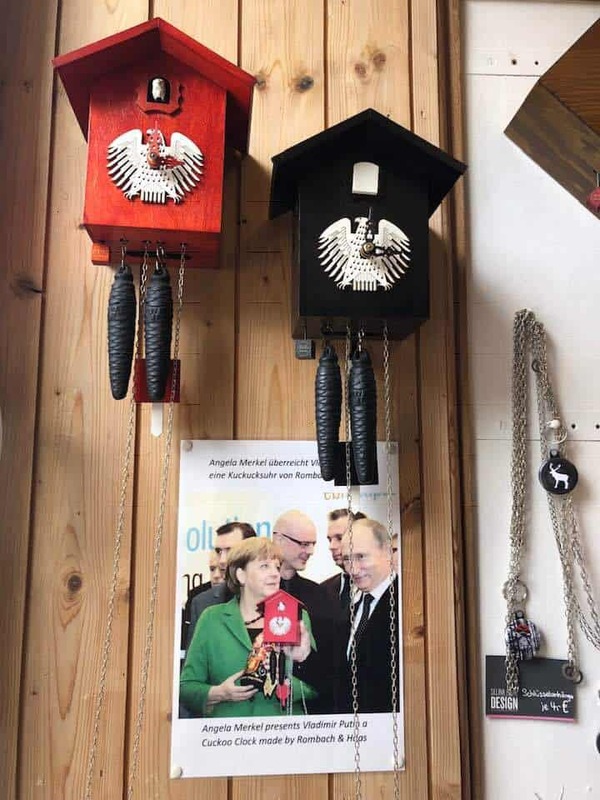 Such is the reputation of these clocks that Angela Merkel presented President Putin with one of their cuckoo clocks and William and Kate also received a customised Haas clock on the occasion of their marriage. 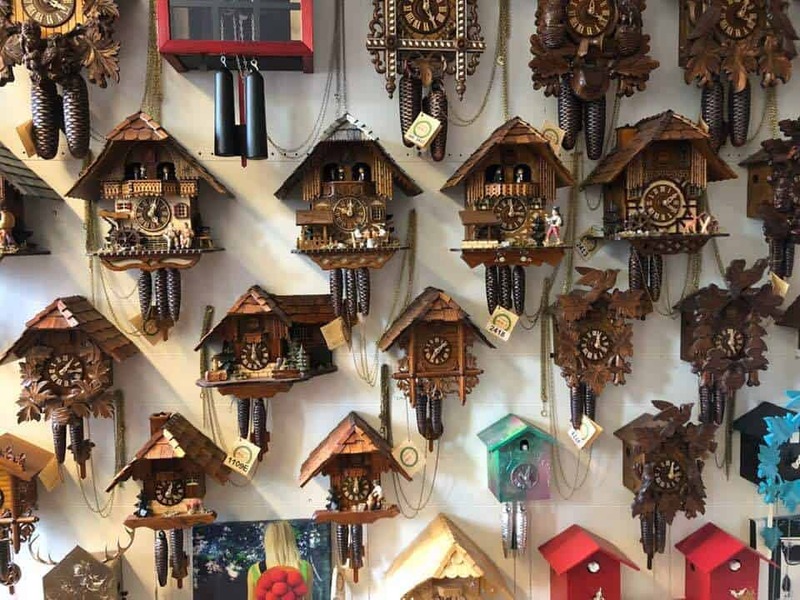 Americans are one of the biggest customers of cuckoo clocks, but after 911 the orders went into sharp decline as they stopped travelling to Europe. 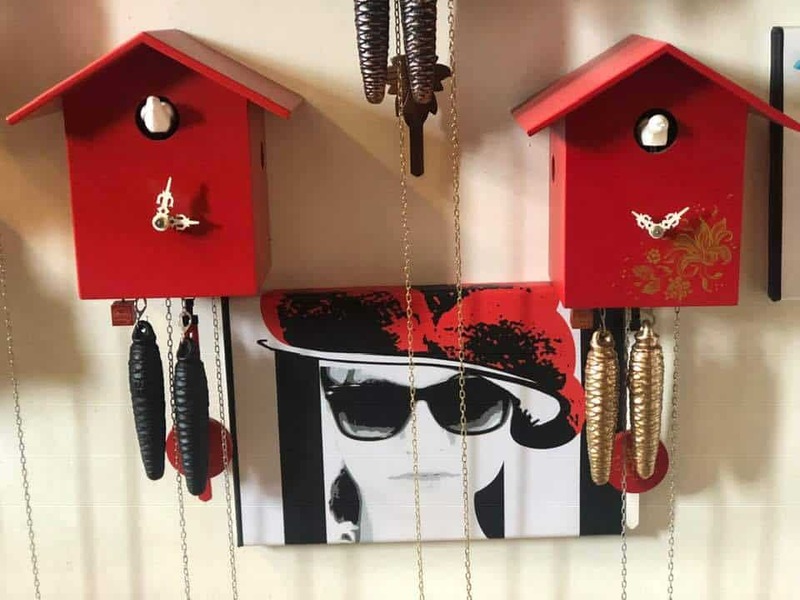 Ingolf came up with the innovative idea of creating a new range of modern cuckoo clocks to interest younger people and to fit better with modern interior design. The range of new modern clocks has been extremely popular. 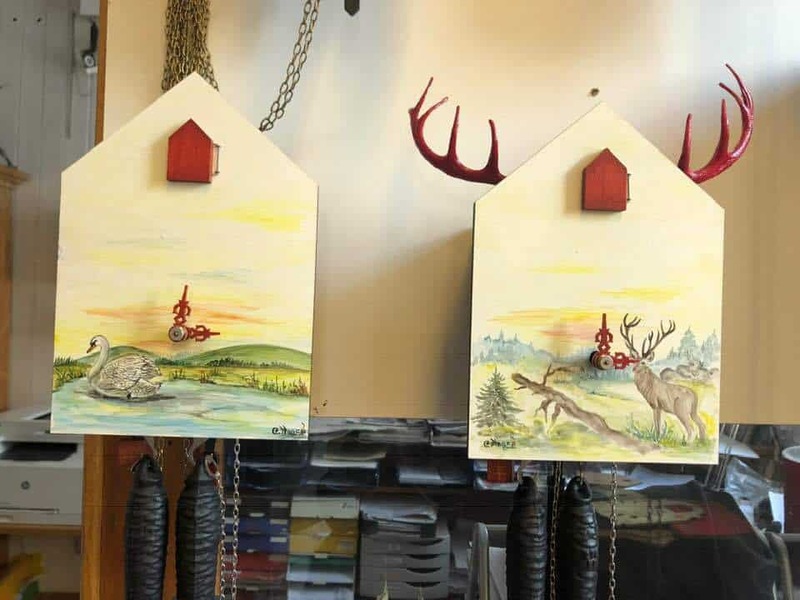 Ingolf has also developed a new modern range of the Schild clocks, often with his daughter’s art work, to appeal to a new market. However, it seems as far as design is concerned, the sky’s the limit and we saw a huge variety of clocks of all shapes, sizes, colours and construction. So if you’re visiting the Schwarzwald why not pop into the showroom and see for yourself? 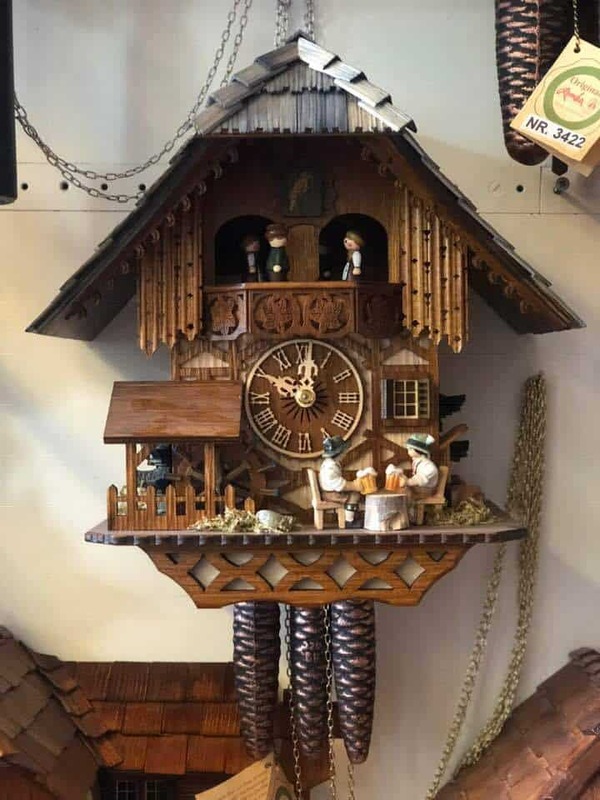 The cuckoo clocks start at 190 Euros and go up to well over a thousand Euros. For more information visit the Rombach & Haas website here. 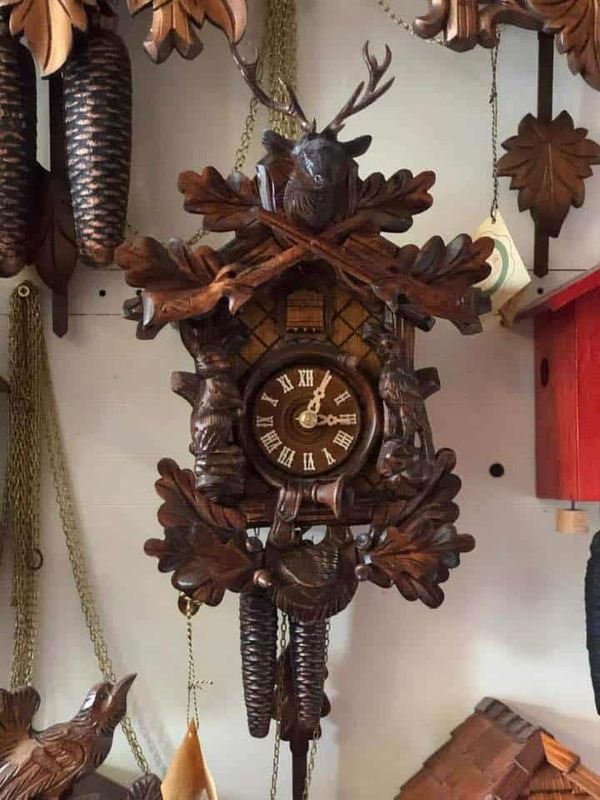 All Black Forest cuckoo clocks which contain a mechanical movement include a certificate of authenticity from the Black Forest Clock Association. For more information about things in Zurich and beyond please see our What’s On Page or our News Articles and for regular updates subscribe to our blog. 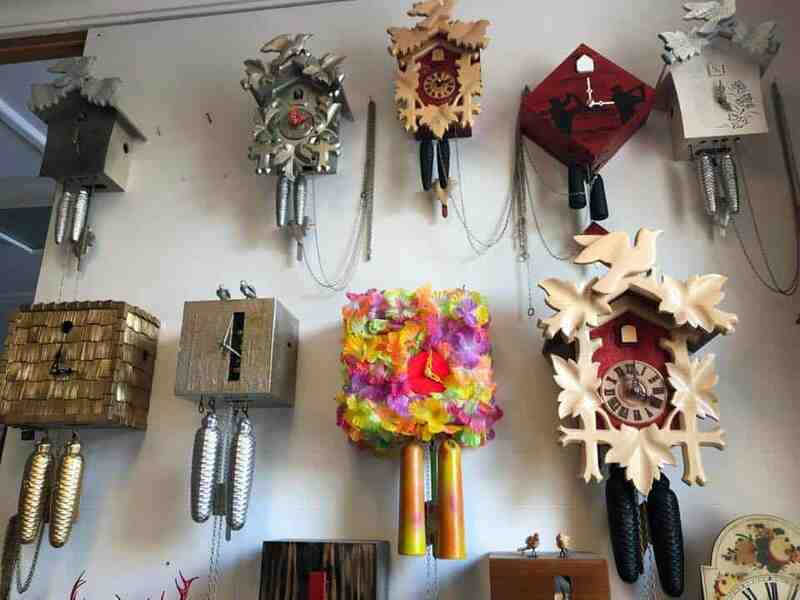 Share the post "Exploring Cuckoo Clocks in the Black Forest Germany "